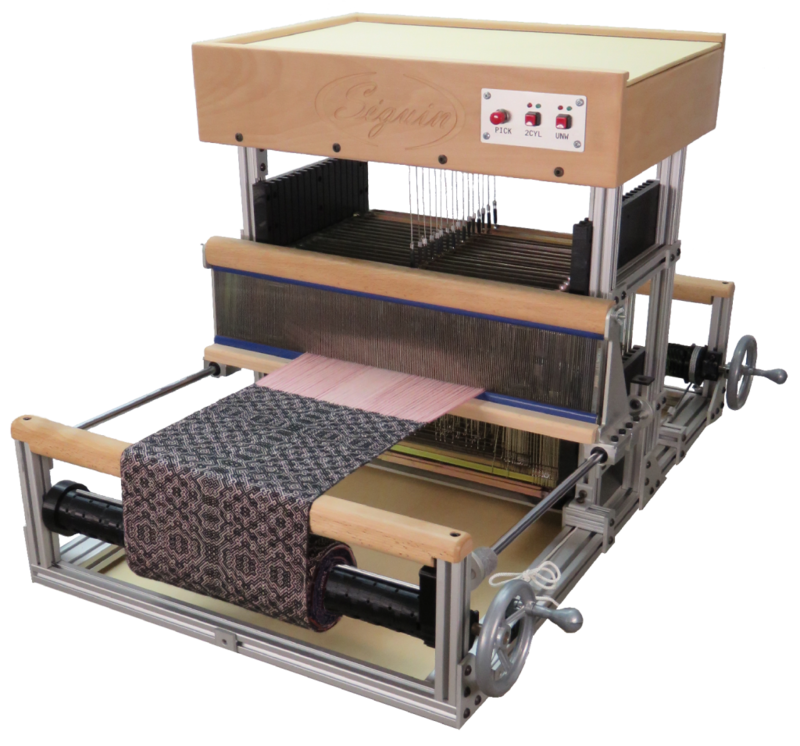 This loom requires less physical effort. The motorization lifts the harnesses and closing without having to maintain a pedal or a button pressed. 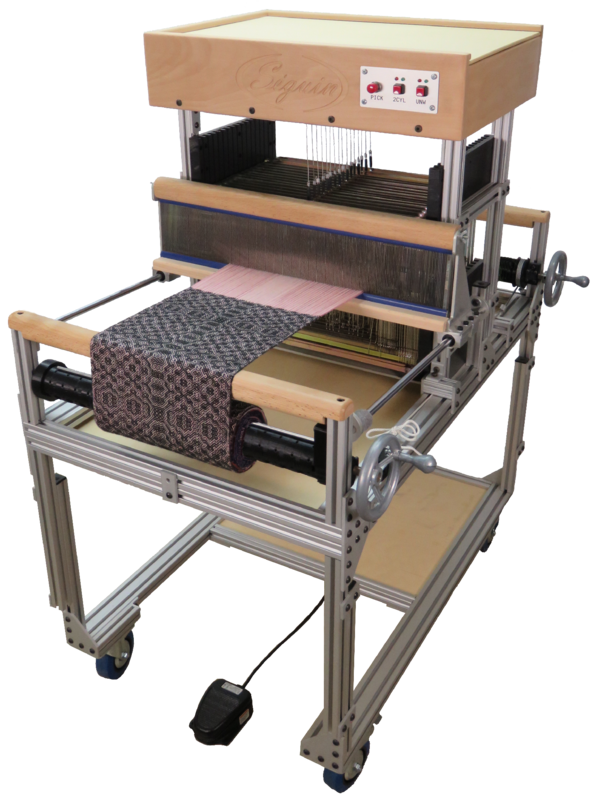 In addition, computer assistance allows communication with the loom by specifying the harnesses to be lifted. To activate the mechanism, a pedal or button can be used. The beater slides easily and stays perpendicular to the fiber, helping to strike more consistently. 15 inch 16 harnesses $ 7,350 * 27.5" x 38.5" x 23"
15 inch 24 harnesses $ 8,375 * 27.5" x 44" x 23"
24 inch 16 harnesses $ 7,975 * 35" x 38.5" x 27"
24 inch 24 harnesses $ 9,399 * 35" x 44" x 27"